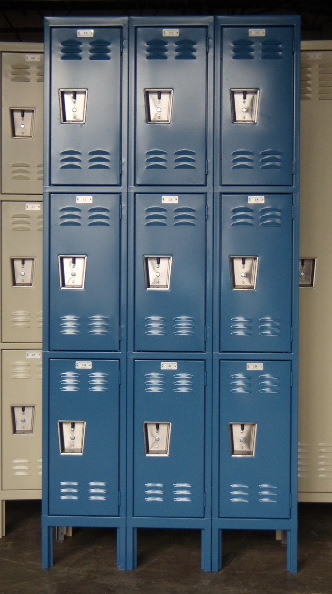 These Cell Phone Lockers are available on www.buyusedlockers.com where they have a huge selection to choose from if we need additional supplies. 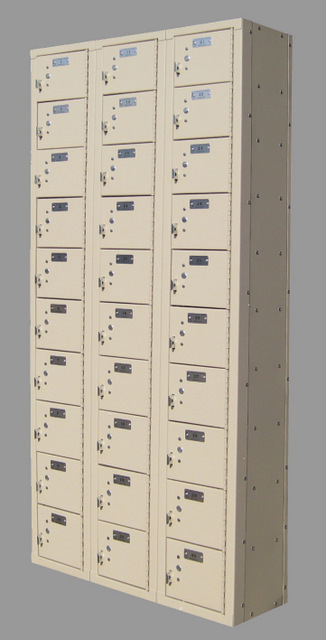 New metal cell phone lockers available in over 30 color choices. 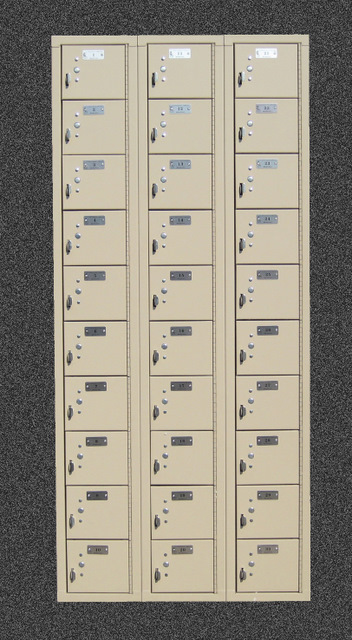 These are 9" wide x 9" deep x 6" high each locker compartment in columns that are each 10 compartments high. The overall height of each column is 60". Pad-lock ready with the option of adding built-in key or combination locks as well, you can choose almost any lock to help keep your visitor's items safe. 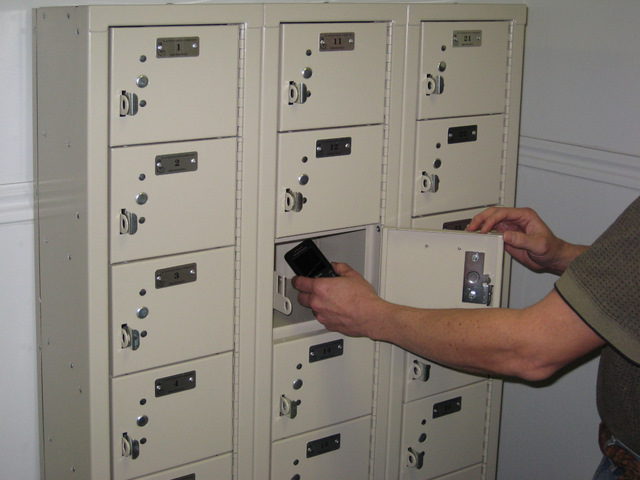 These are perfect for cell phones, wallets, keys, or other small valuable items and because of their small size, cell phone lockers can be installed in multiple locations and in various configurations for maximum convenience. Add these in or around exercise and activity centers, schools, employee break rooms, hospital visitor rooms, etc. 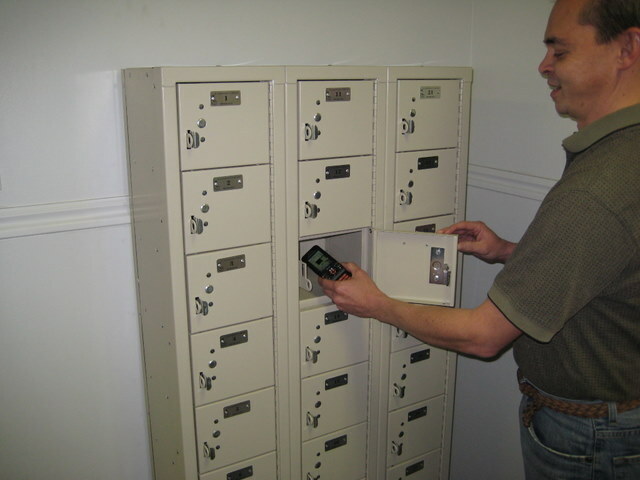 for safe, secure and convenient storage of small items. These are a boon to facility managers!